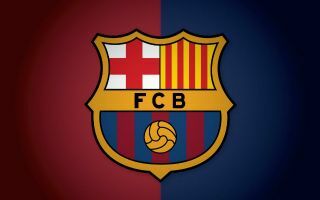 Barcelona face Real Valladolid on Saturday night, and despite returning to Champions League action next week, Ernesto Valverde has picked a strong squad. The Catalan giants currently boast a six-point lead over nearest rivals Real Madrid in the La Liga table, and so they’ll be wary that any slip-ups could prove to be costly. With that in mind, it would appear as though Valverde is likely to select a strong starting line-up this weekend, with many of his influential stars being included in the squad, as seen in the tweet below. Nevertheless, many fans will arguably be hoping that he does rotate and rest key individuals too, as they face a trip to Lyon on Tuesday night for the first leg of their last-16 Champions League tie. However, based on the reaction below, many were left furious and frustrated over the snub of both Jeison Murillo and Jean-Clair Todibo for this encounter with Valladolid, as they questioned why Valverde would leave them out in a perfect game to give them minutes. Barcelona are undoubtedly expected to win, but it would appear as though their coach is taking no chances and will play close to a full-strength side. In his defence, with a trip to Sevilla next weekend followed by a trip to the Bernabeu the following week, Barcelona simply can’t afford to drop points now as it could give Real Madrid the perfect opportunity to wipe out their lead. With that in mind, it’s easier to see why Valverde would perhaps ignore the temptation to rest players and rotate, but the fans below are certainly far from impressed over the defensive duo not getting a look in. Why did we loan Murillo in the 1st place? Todibo? Perfect game for him. Where is murillo? ?… whats the use of this big squad then… we need UCL,Shameless cocah renews even when the fans are against him…there goes our UCL hopes..??? Why have we brought Murillo ?! !